More Mexicans view the United States unfavorably than they have in the past fifteen years, according to a report released Thursday. Their perception of their neighbor to the north has shifted dramatically, with nearly 65 percent of Mexicans expressing a negative opinion about the U.S., more than double the 29 percent figure of two years ago. “Our research shows pretty strikingly that views of the U.S. and of the U.S. president have really plummeted in recent times,” said Margaret Vice, senior researcher at the Pew Research Center, a non-partisan group in Washington, D.C. This erosion of goodwill toward the U.S. can be traced to low approval of President Donald Trump's policies, especially those targeted at Mexico. An overwhelming 94 percent of Mexicans oppose Trump’s proposed border wall, and only 5 percent are confident he will do the right thing regarding world affairs. Pew Research Center, September, 2017, "Mexican Views of the U.S. Turn Sharply Negative"
These are some of the findings outlined in the survey, which was conducted among 1,000 respondents in Mexico from March 2 to April 10, 2017. In addition, the report outlines that economic ties between Mexico and the U.S. are also seen as less advantageous, with 55 percent of Mexicans saying that economic ties between the two countries are good for Mexico, down from 70 percent in 2013. However, a large percentage still regard the North American Free Trade Agreement (NAFTA) as beneficial. “Sixty-percent of Mexicans view NAFTA as being good for their country. There is a relatively solid majority of Mexicans who see the economic ties between the two countries as a positive one,” said Vice. On the home front, Mexicans are increasingly pessimistic about their future. According to the report, 85 percent are dissatisfied with the way things are going in Mexico generally, and seven-in-10 believe the economic situation is grim. 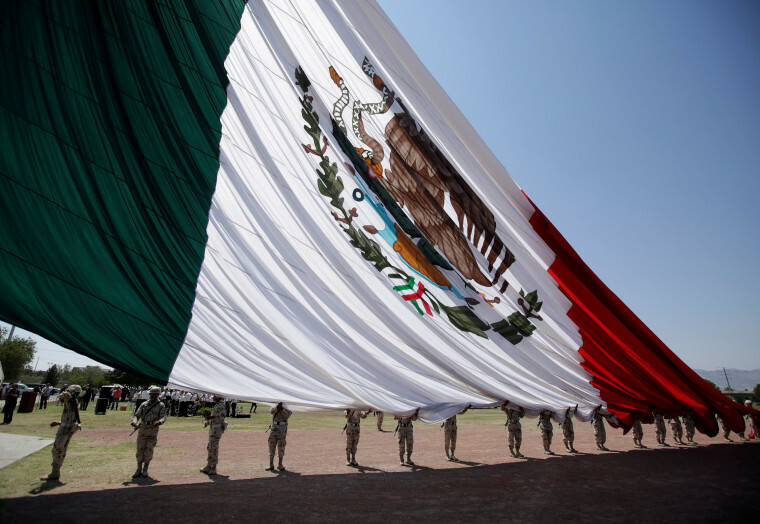 Crime, political corruption, drug cartel-related violence and rising prices are some of the main reasons for this pessimism, along with growing unpopularity for political leaders and Mexican President Enrique Peña Nieto. Seven-in-10, or 72 percent, disapprove of his handling of relations with the U.S. today, compared with 53 percent in 2015. Despite the negative shift in Mexican attitudes about the U.S. and Trump, a third still say they would move to the U.S. if given the opportunity. “There is still a strong sense that things are better in the U.S., and that is perhaps a commentary to how bad things are in Mexico,” said Vice. In contrast, fewer Mexicans say they are willing to live and work in the U.S. without authorization than they did in 2015. Only 13 percent agree they would move without having the authorization, down from 20 percent two years ago.